House moving has never been a natural process and is always a stressful experience. It takes a lot of time and effort, but do not worry, Movers Express specializes in providing quality house removals services. We provide quick and affordable service to our customers for relocating their home. With just a few clicks you get the extra assistance you need to move any size house small or big one. No matter you are running a fully furnished home, apartment or a studio we got you covered. Relocating your houses, flats and apartments in London can highlight several local issues. 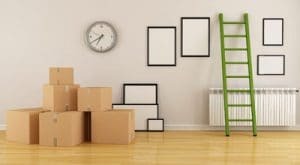 You have to deal with packing, loading, transferring and unpacking and it is impossible to do without professional assistance. Our knowledge and expertise enable us to foresee potential issues, and we organize and manage the entire moving process proficiently without causing any inconveniences. We also provide you with a professional manager to coordinate every aspect of your move. The manager will give you an overview of the plan to ensure that your move goes as smoothly as possible. Before the moving day, we will deliver all the packing materials to your door, so you can get everything packed up. Also, you can hire our packing service to make things easier for you. Moreover, you can focus on fulfilling other obligations as you do not have to be there at home on moving day. Most of our customers are overseas or away for the entire planning and moving process. We are pleased to take care of everything on your behalf. 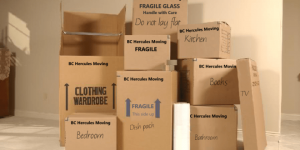 Our house removals team include experienced and professional movers and packers. They will pack your stuff carefully and label all of your boxes so that they end up in the right place. Click on our Get a Free Quote Page and fill in all your details like pick up, delivery address, number of persons required, number of bedrooms, hours etc. Enter your date by selecting it from the calendar. Within a few minutes, a no-obligation moving quote will be sent to you. Confirm your booking via e-mail or phone and consider everything done. One day before your moving day, we will give you a call of reminder and confirm that everything is all right with the booking. Ensure you have packed and labelled everything. If you require our assistance and do not want to deal with the packing, you can book our packing service. But if you pack everything by yourself, remember that the box should not exceed the weight more than 20kg. Our team will arrive at your place at the scheduled hour. Instruct them about which are the fragile and heavy boxes. Our movers and packers will load every box and piece of furniture on the van carefully and secure them. Our professional drivers use GPS and use the shortest and safest route to reach your new location. Our home moving team will arrive on the mentioned address and starts unloading. All the boxes will be placed in their respective rooms as instructed by you. Every disassembled furniture will assembled at the new place. Once it is done, the movers will clean the entire house and leave for you to enjoy your new location. Movers Express pride itself in offering courteous and friendly customer service. It’s also includes flexibility with scheduling the time, and our drivers are fully trained to provide you with the most well mannered and quality moving service. Customer satisfaction is our utmost priority ; therefore, we will make certain that your move will go as you have planned. Our team is trained and qualified so they will do any assembling and dissembling of furniture and equipment. We guarantee to provide the best value for money, and our services are available at unbeatable prices that are affordable than hiring a van yourself. We possess hardworking and reliable movers who have a lot of experience in moving. Our team will disassemble and reassemble your furniture. We provide a free quotation that has no hidden costs. We will leave all of your essentials that you need during the move. Our comprehensive range of moving services is available at competitive prices. Our customer support is available 24 hours a day and seven days a week. They are always ready to help their customers. So if you have got a difficult move and you want some assistance in planning it call us on our given number or send us an email. Also, if you need more information or have queries, we are at your service. We strive to achieve our customer satisfaction so that they hire us time and again and recommend us to others as well.